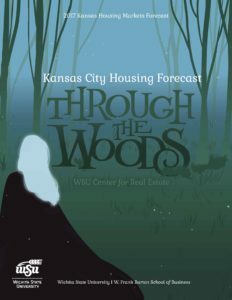 The theme of this year’s forecast is “Through the Woods,” following the adventures of our heroine Ophelia as she escapes an evil witch and overcomes many challenges to find her way home. While this theme might refer to all the obstacles that have beset the housing market in recent years, it also reflects the fact that at long last, the worst may be behind us. Like Ophelia, Kansas housing markets appear at long last to have made it Through the Woods.